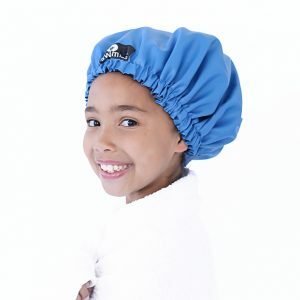 This is not a shower cap as you know it. It is luxurious with a satin lining. Gone are the cheap looking plastic caps that didn’t fit in the first place. A proper sized loop to hang it with. 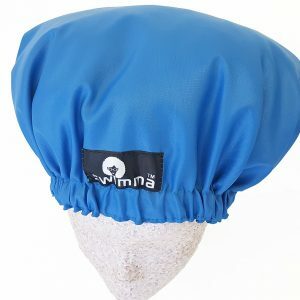 And of course it wouldn’t be a Swimma if it didn’t fit big hair!. Oh – and it’s made in South Africa too!